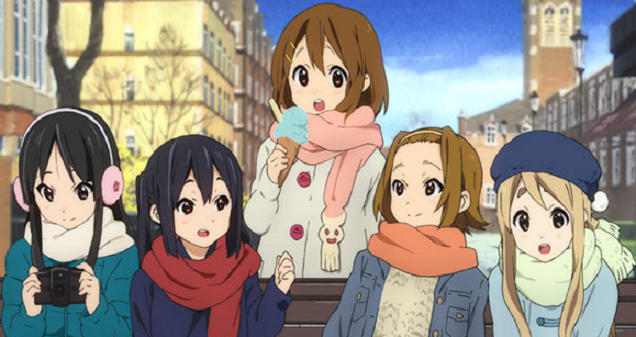 Want to have long, endearing conversations with the gals from Kyoto Animation’s hit TV series K-On!? No problemo! All you’ve got to do is go to Japan and buy a new phone from NTT DoCoMo. Japan’s leading telco NTT DoCoMo announced today that it’s giving its cloud-based voice-command concierge service, Shabette-Concier, a major upgrade for the Winter 2012 season: more functions, more apps supported, and the addition of over 30 interactive avatars, including K-On! characters. A partial list of these interactive avatars can be found at NTT DoCoMo’s official website over here. Besides the K-On! 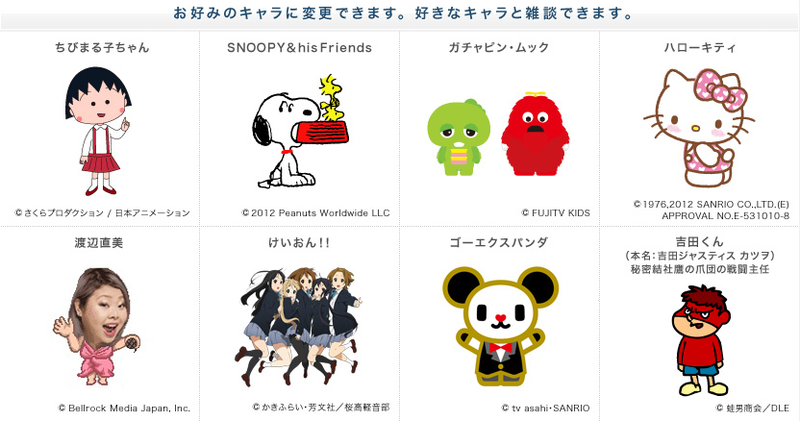 girls, other licensed avatars include Chibi Maruko-chan, Hello Kitty, and Snoopy & His Friends. Shabette-Concier works similar to Siri, in that upon activation of the app, a voice will playback on your phone prompting you for a query. The service was first launched in Japan in March of this year, and has since been updated periodically to support more questions and applications over the months. The new version of Shabette-Concier is free to all NTT DoCoMo customers who’ve subscribed to the sp-mode Internet connection service, and will come pre-installed in smartphones and tablets (well, tablet) announced today under the telco’s Winter 2012 line-up, some of which will begin going on sale in Japan from November. 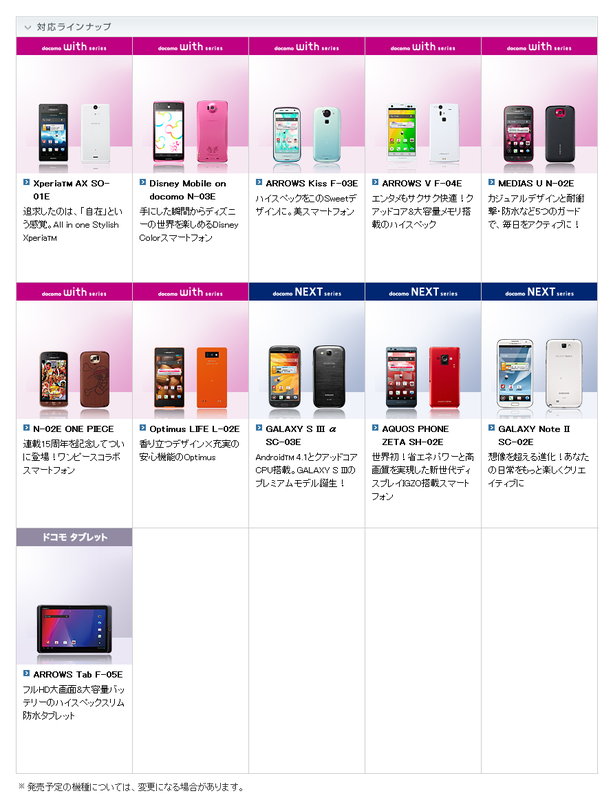 All of the devices in the line-up are Androids; NTT DoCoMo is the only carrier in Japan to not offer Apple’s iPhone products.